Can I pay for Fulcrum annually? Your Fulcrum subscription can either be monthly or annually. After you have selected the plan type you would like to have you will be taken to the payment options page. 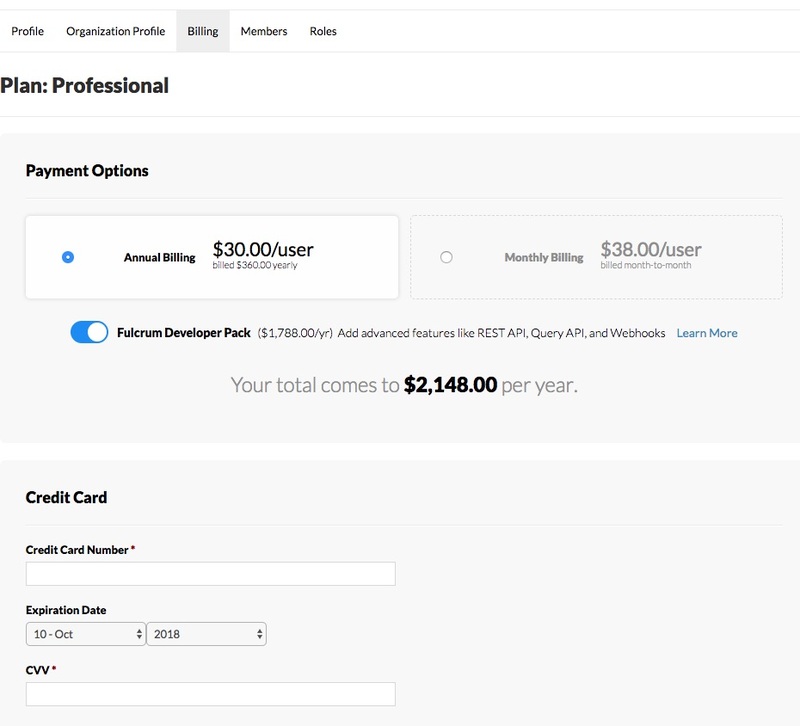 On this page you can see the annual cost vs the monthly cost per user and the total amount that you would be charged for each of the billing cycle options.